The PlayStation Blog has announced that their game-streaming service PSNow has added more games for its users, and the big headliner this time around is Ubisoft’s methodical Samurai-Knight-Viking title, For Honor. 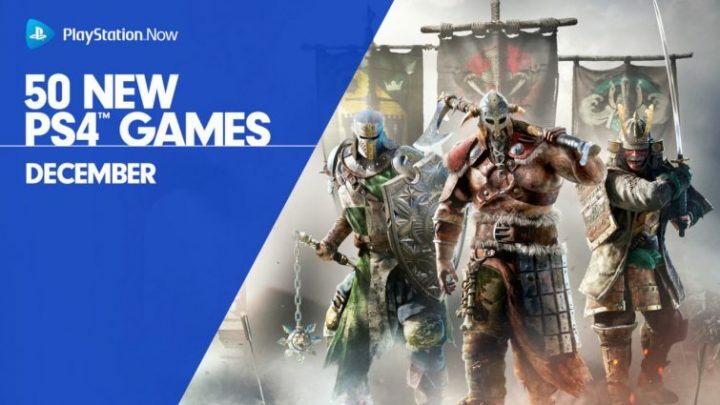 Yes, For Honor has made its way to PSNow so if you ever wanted to give the game a chance, but not fully commit to the purchase, this is probably your best bet. In addition to For Honor, the Blog announced that over 50 new games have been added to the service as well. This month include the open-world Adventure Time: Pirates of the Enchiridion, the classic Super Star Wars, retro-style 2D platformer Dandara, J-RPG Fairy Fencer F: Advent Dark Force, the frantic Raiden V: Director’s Cut, the fast-paced thrill-ride TRON RUN/r, and many more. Also available is a discount on the 3-month offer, now just $29.99 ($44.99 regular price), and for the best bang for your buck, 12 months for just $79.99 ($99.99 regular price), both available to new and existing subscribers alike. You can also check out the seven-day free trial for PS4 and PC to get started. Are you a PSNow member? Planning on joining the service? Let us know in the comments below!